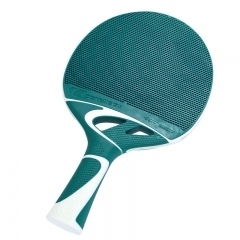 The Turquoise Cornilleau Tacteo 50 Fibre Table Tennis Bat is a perfect combination of technological innovation and design. 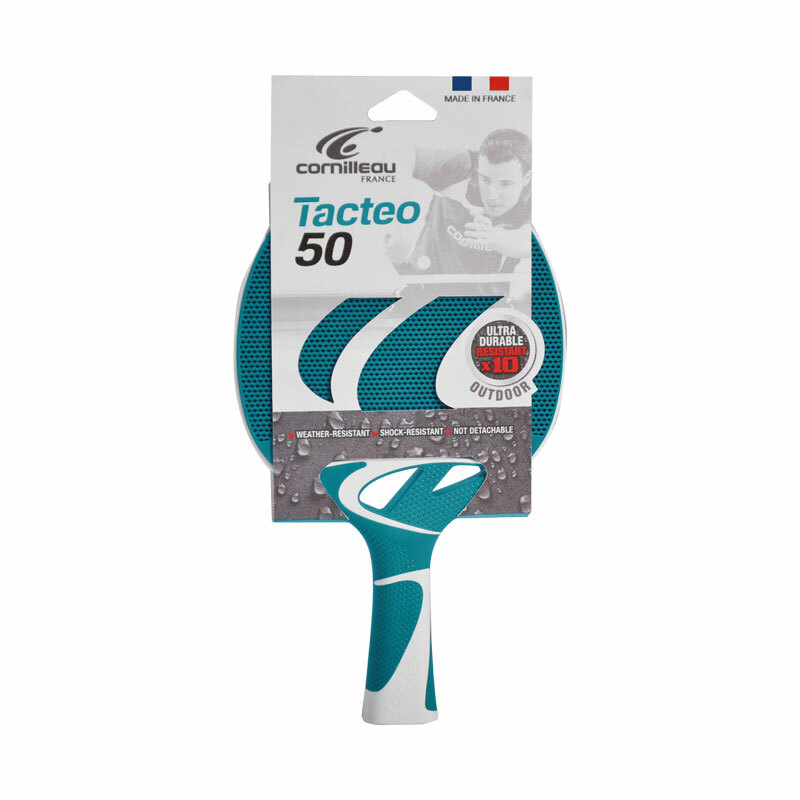 Designed for outdoor use for all users, the Cornilleau Tacteo 50 Composite Table Tennis Bat is highly durable and helps maximise playing performance with its many benefits. 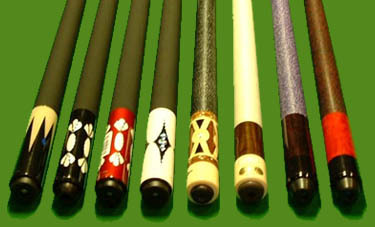 Thanks to its injected polymer blade, the bat is exceptionally solid whilst being shock resistant. 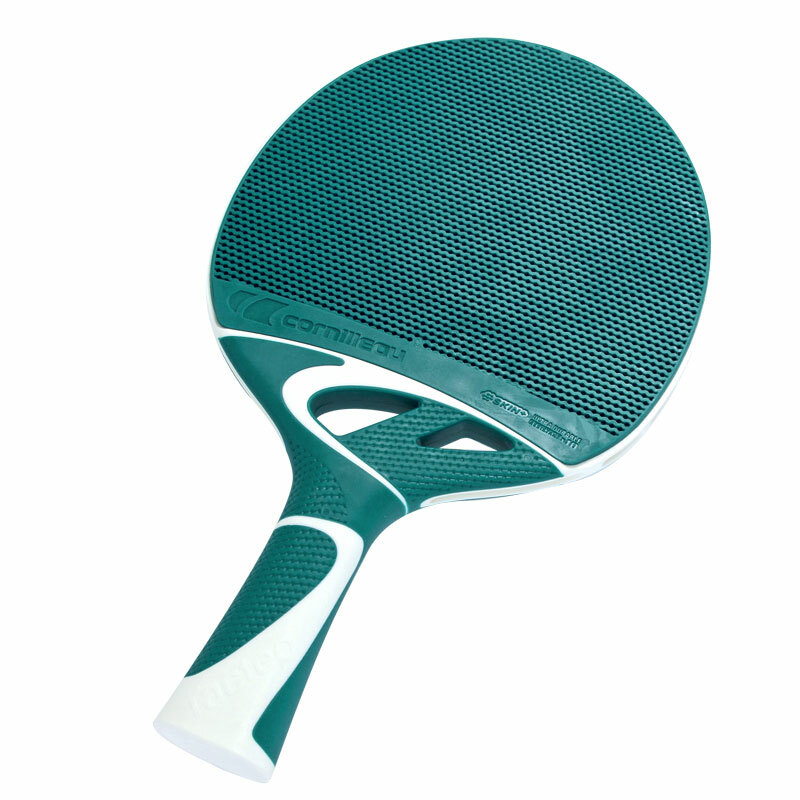 The non-detachable covering is 100% resistant to UV rays and humidity and will not peel. 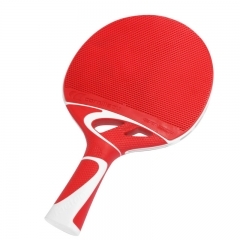 The bat boasts an ergonomic, soft grip handle whilst the innovative Skin+ covering offers an even better grip and greater control. The bat can be regularly washed with soapy water, making it easy to keep clean after intense play.